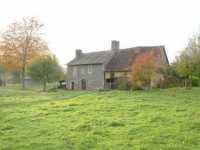 45 minutes from beaches and 10 minutes from St Hilaire du Harcouet. A very good looking house for renovation… A really worthwhile project. Revive this house of the seventeenth century with superb arched door in granite. Full of charm from yesteryear on 3 Hectares with trees. On the ground floor: entrance with stairs, room with granite fireplace and exposed beams. Large pantry that would make a nice kitchen. Upstairs, 3 bedrooms of good size and an attic over the whole footprint. An adjoining outbuilding with half-timbered and covered with tiled roof. Large half-timbered barn. 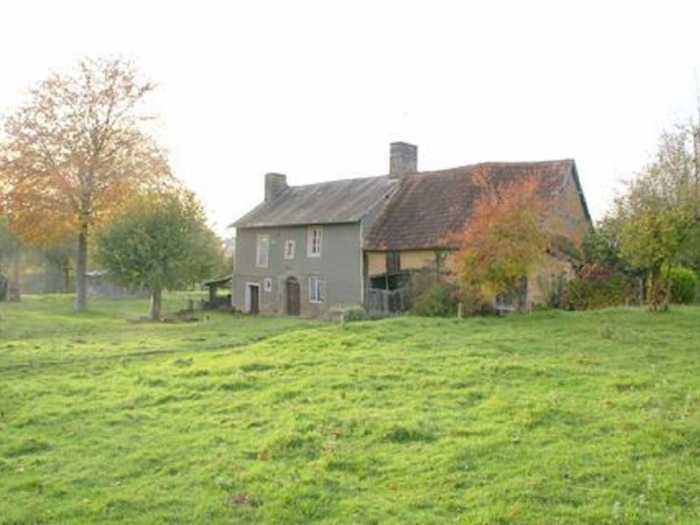 With such a large chunk of land this calls out to be used as a smallholding, hobby farm or equestrian… Very tempting. The agent says.. It has an electric meter and a water meter. Old septic tank to update. Some works on masonry to foresee. Everything used to work 3 years ago! Sales price excluding agency fees: 64000 €.